Ethel Mars was born in Springfield, Illinois and studied at the Cincinnati Art Academy in Ohio. With her companion, Maud Squires, she moved to Paris around 1906 and remained there until her death. During WWI she returned to the USA and worked in Provincetown. Margaret Patterson worked as a painter, printmaker, and art teacher in the Boston area. She studied with Arthur W Dow and Charles H Woodbury in Boston. 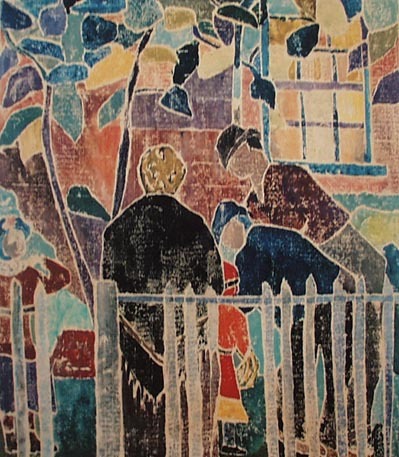 During the 1910s and 20s she studied and painted during summers in Europe and studied wood-block printing with Ethel Mars in Paris in 1913. During the 1940s she spent her summers teaching and painting at her studio on Monhegan Island. 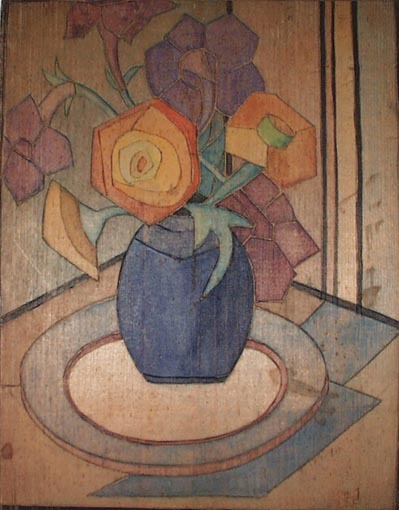 For her color wood block printing, Patterson developed an exacting procedure using only apple wood and grinding her own vegetable colors. 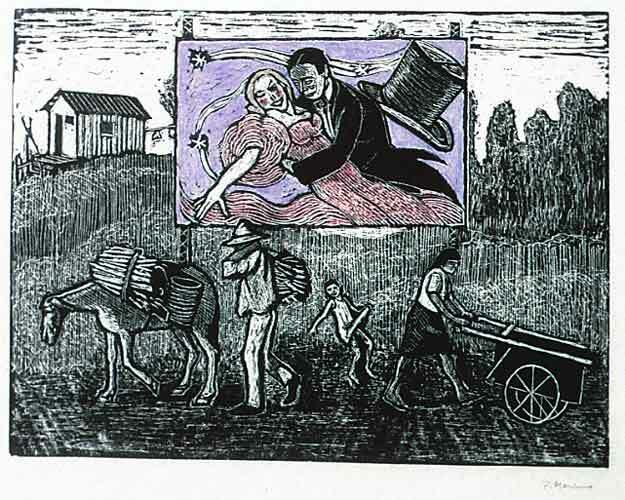 Turzak's "Man with Drill" (above) explicitly illustrates the dehumanization through labor of the time, when man and machine seemed troublingly one. Such images recall the German Expressionists and their fear of the machine and, by extension, the woodcut graphic novels of Franz Masereel. 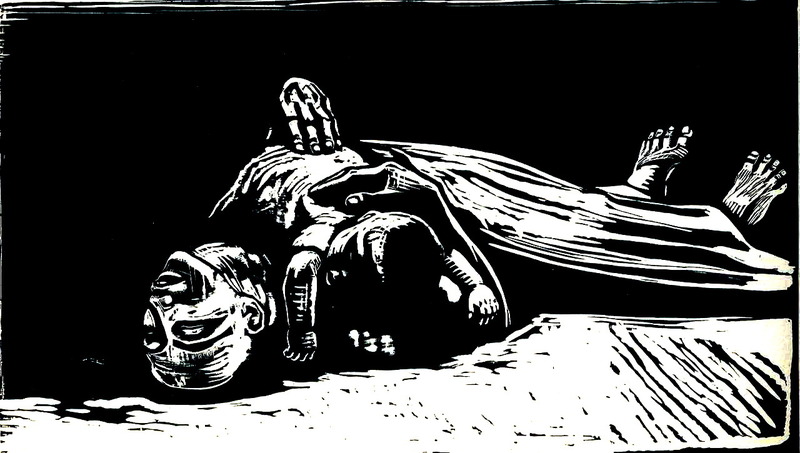 Where Masereel strung together long series of woodcuts into silent graphic novels of social commentary, single images such as Turzak's ring just as powerfully as statements of social unrest. The visible vibrations rippling from the figure with the drill send shockwaves that threaten to topple the buildings in the background. 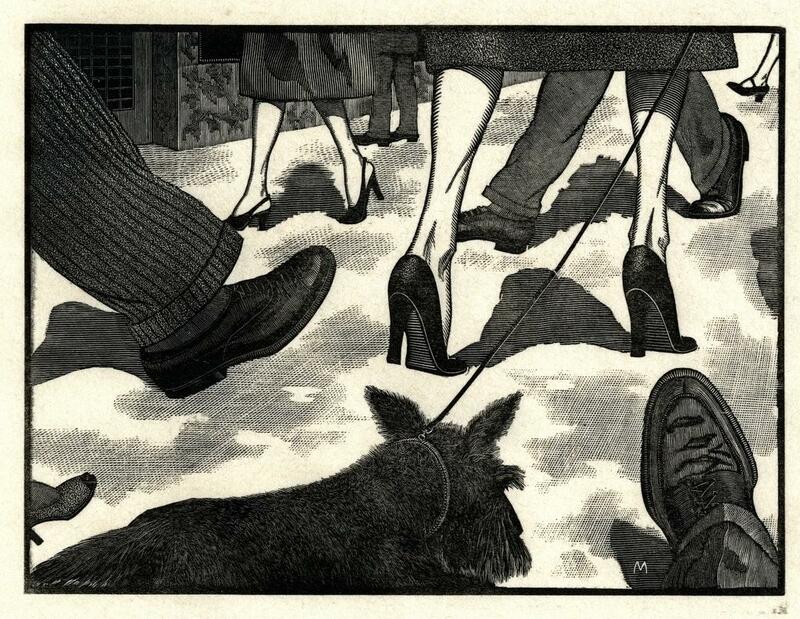 In the face of the Great Depression and two world wars, such images strove to topple the powerful and help regain a sense of balance for the masses. 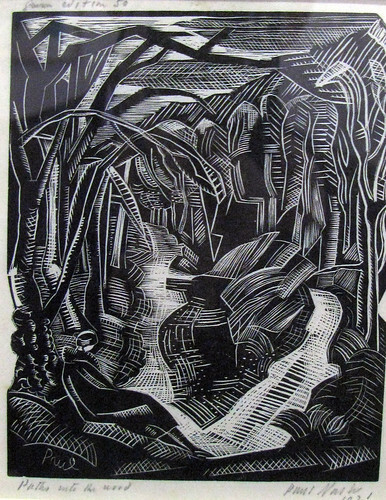 A pacifist in World War I, Frans Masereel, tried to make his art accessible to the ordinary man. 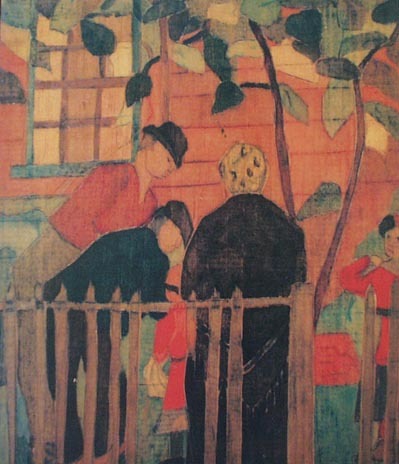 His works were banned by the Nazis and widely distributed in Communist countries. But he rejected "political" art and party affiliation, condemning all enslavements, oppression, war and violence, injustice, and the power of money. 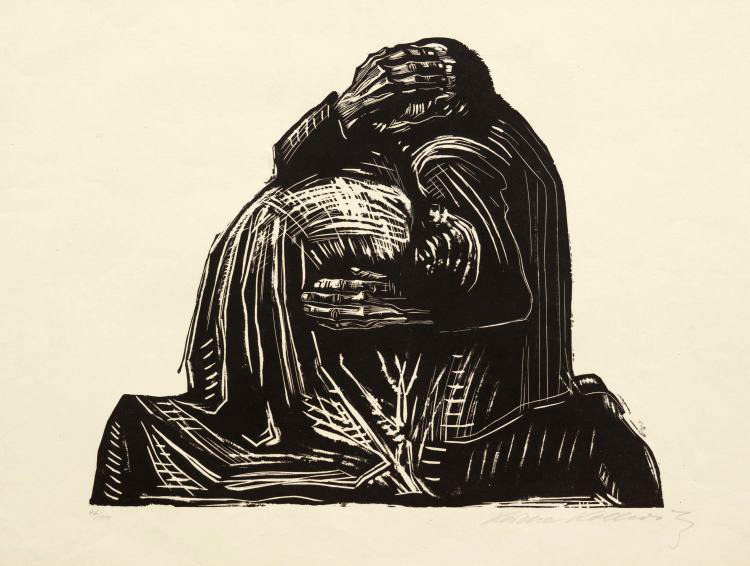 For more information see "Novels in Woodcuts" below. 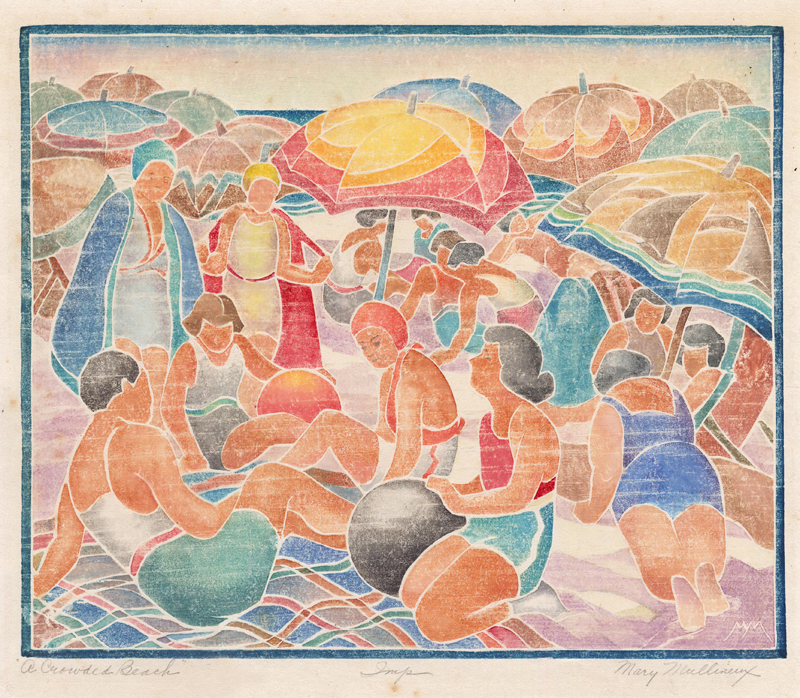 The most straightforwardly political of the visual arts in China, beginning in the 1930s, and during the Creative Print Movelent, was woodblock prints. Supported by the Chinese left-wing writer Lu Xum, this ancient art form was reshaped to serve new political purposes. "One on the most famous early prints coming out of this movement is Li Hua's Roar China! inspired by China's helplessness in the face of Japanese aggressions that started with the Manchurian Incident in 1931. 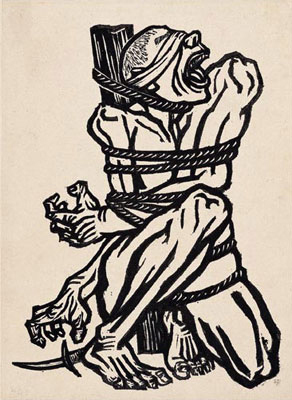 The woodblock print depicts the Chinese giant, bound and blindfolded, roaring with rage as he gropes for a knife to free himself. . ."
Kitagawa Utamaro was a Japanese printmaker and painter, who is considered one of the greatest artists of woodblock prints (ukiyo-e). His name was romanized as Outamaro. He is known especially for his masterfully composed studies of women, known as biding. He also produced nature studies, particularly illustrated books of insects. Three picture books (ehon) by Kitagawa Utamaro to accompany kyoja (playful 'crazy-verse' poems) on natural themes - each printed in colours from several carved woodblocks. On some pages mica, brass or tim dust has been applied to create sine and sparkle, and texture has been embossed from carved blocks pressed into the paper without ink ('blind embossing'). The Sosaku Hanga movement followed a new concept of what an artist should be. In traditional ukiyo-e printmaking process was strictly separated. The design, the carving, the printing and the publishing was done by different and highly specialized people. The Sosaku Hanga artists thought that the artist should be personally involved in all these stages. Not only the Sosaku Hanga theory but also their painting style were closer to Western ideals. 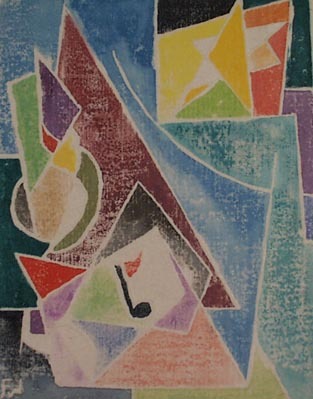 After World War II printmaking in Japan became more international. Western techniques like etching or silkscreen were adopted by Japanese artists. But woodblock printmaking remained the major printmaking technique in Japan. This international movement of making woodblock prints in old ukiyo-e tradition has established itself under the name of moku hanga. Schedel was a German physician, humanist, historian, and one of the first cartographers to use the printing press. . . He is best known for his writing the text for the Nuremberg Chronicle,. . . published in 1493 in Nuremberg. . . Maps in the Chronicle were the first ever illustrations of many cities and countries. 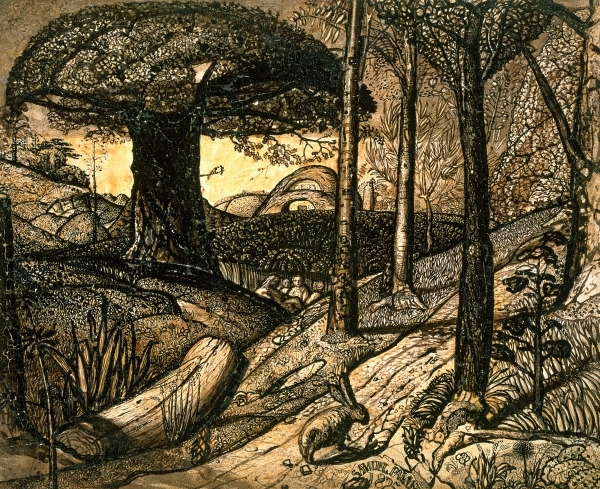 considered the 1st woodcut printed in U.S.